Please enjoy the following craft projects and tips/techniques. The skill level for all projects shown here are for beginners. 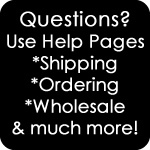 They are fun, easy and many are perfect for working with children. We hope you give them a try! 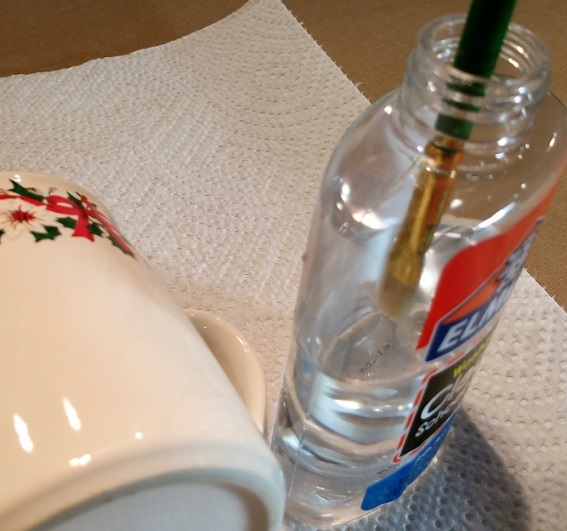 This DIY glitter project was inspired by the wonderful decorations that come out once a year. 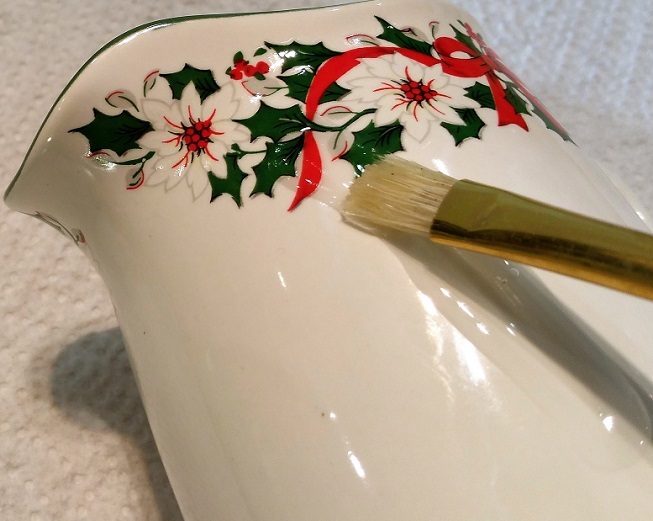 I had these lovely ceramic set that I knew a little glitter and glue would turn into a sparkly Christmas decoration. 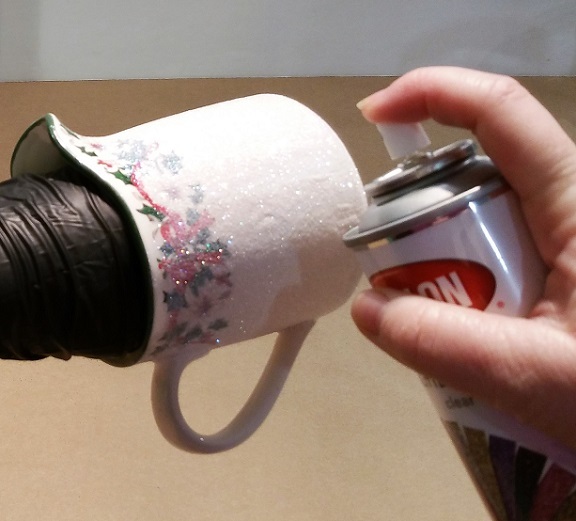 I chose to use a poly glitter with this project so it would be dishwasher safe. 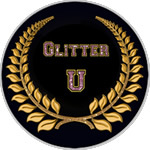 Craft glitter will melt with high heats. 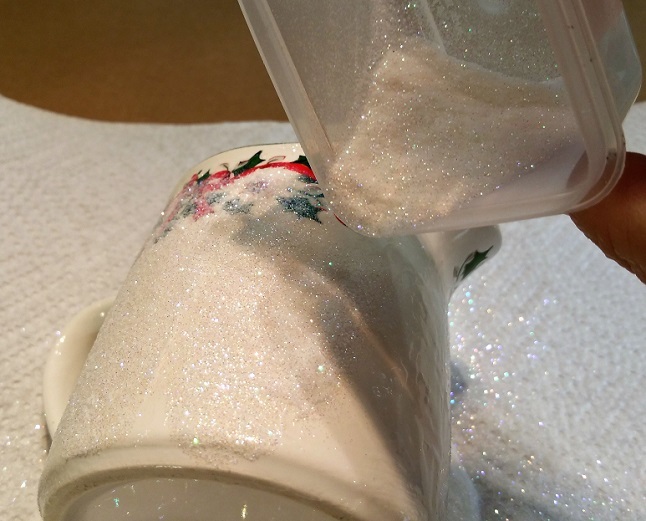 To start this glitter art project I washed and dried the sugar and cream jars. 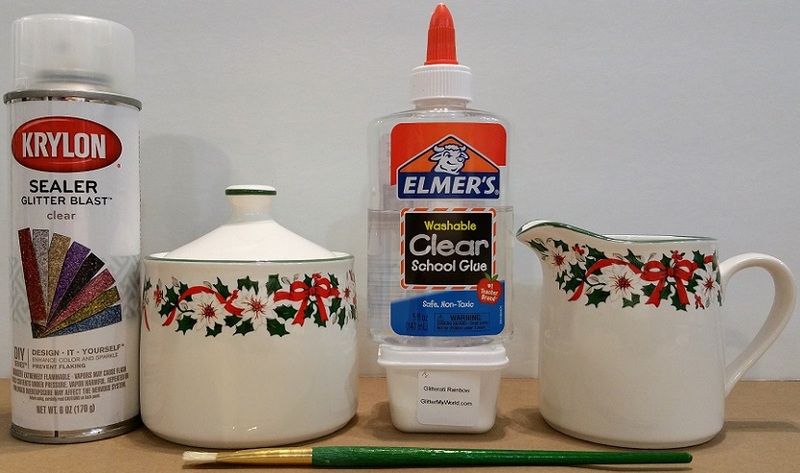 I then painted on the Elmer's clear glue with the paintbrush, making sure to have an even coat. The next step was to apply the glitter. 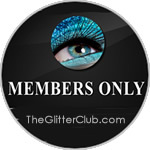 For this decorative set, I sprinkled the glitter onto the glue and pressed the glitter into the glue. 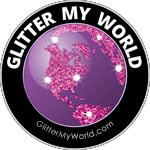 I was concerned with glitter flaking off, so I used the Krylon Glitter Blast Clear spray to seal the glitter in place. 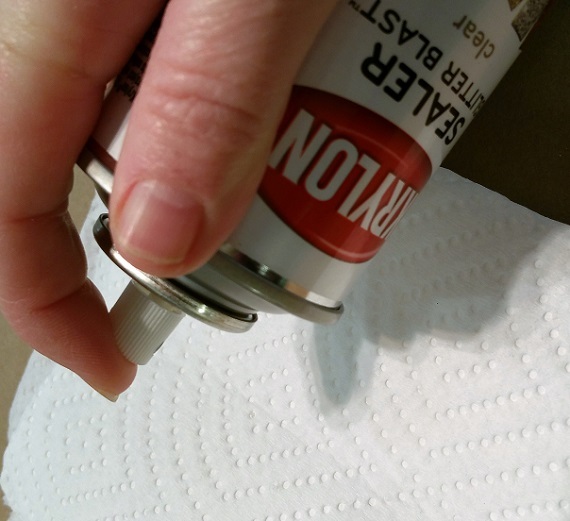 When using an aerosol can you first need to prime (prepare the can for spraying). To prime the can first shake the can, then (with the can upright) spray the liquid into a paper towel. Make sure to spray the aerosol can outside or in a well-ventilated area (preferably with an air purifier on) as aerosol cans are very noxious and can cause breathing issues. Make sure to spray a balanced even coat. 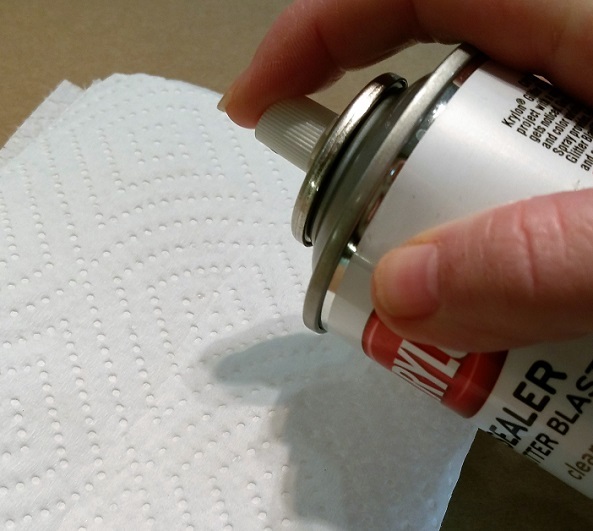 Once you are done applying the clear seal coat, make sure to unprime the aerosol can by spraying the can upside down into a paper towel until the can sprays just air. This set turned out great! 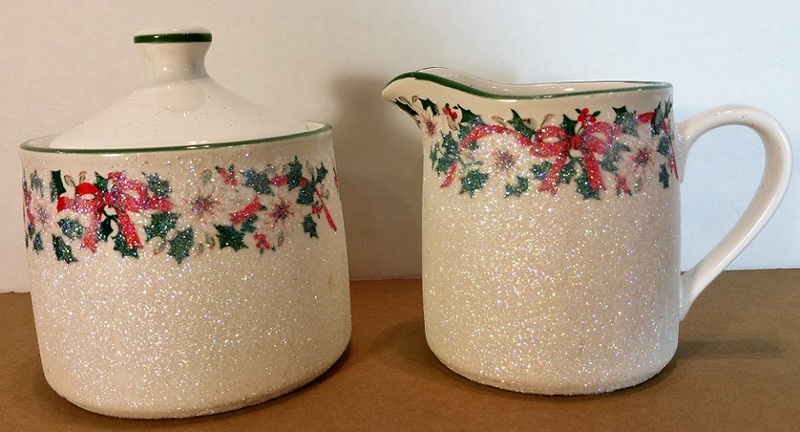 This set turned out great and will make a wonderful addition to any tea party or dinner table.